Xvid codec only / Possible adware spyware virus issue. I immediately uninstalled the xvid codec from "programs and features" and it removed the whole folder. Now I don't know what to do. If I should clean my computer ? Get the codec from somewhere else ? I also found this website http://netctr.com/codecs.html that says (I quote) : "Also xvid com was sold but this page is the replacement for that site. I cannot endorse that site now for it is related to zango and other spyware related mechanisations." Re: Xvid codec only / Possible adware spyware virus issue. No need to worry. Xvid.com is the official website. 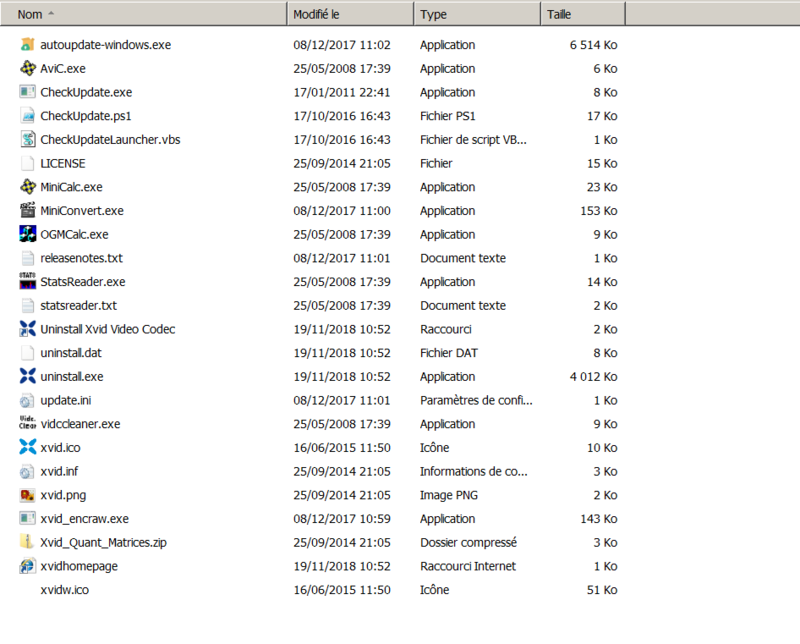 Those files in your screenshot are harmless extra tools that are included in the Xvid installer. If you want to install only Xvid using K-Lite Mega Codec Pack, then that is possible. At the beginning of the installation select "Advanced" install mode. That allow you to fully customize the installation and select only Xvid VFW codec. Thanks a lot Mr Admin ! And thanks for the great job during all these years.